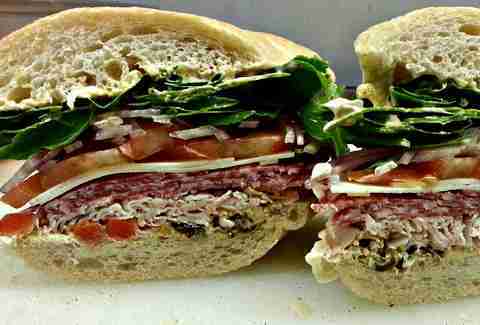 The sandwich might have been invented as a gambling aid, but that doesn't mean you should roll the dice on getting a decent one -- that's why we did the delicious research and figured out where to get the very finest bread-traps in The Valley. 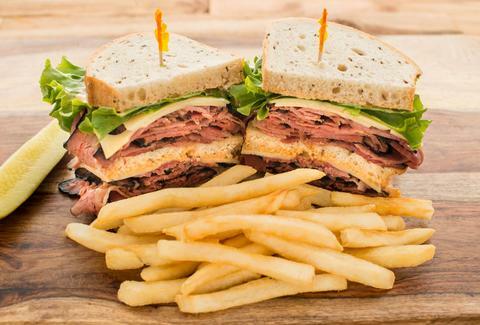 The Miracle Mile has been in Arizona over 60 years, and proudly boasts “the best Jewish food west of New York City.” Taking it at its word, the New Yorker, with its pastrami and homemade slaw, it definitely feels like a little slice of the East Coast has landed right here in the desert. Zookz is known for its incredible sauces, and the No. 20, with its Zookz Sweet Heat Mustard, is no exception. Add that cornerstone sauce to the No. 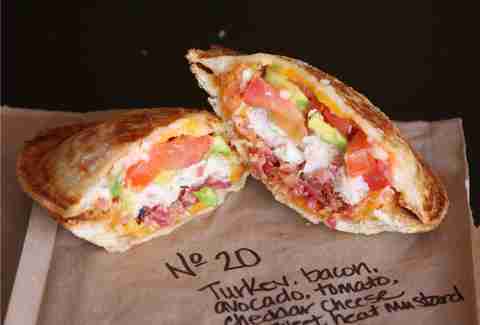 20, which includes thinly sliced turkey, bacon, avocado, tomato, and shredded cheddar, just for good measure. This award-winning bakery boasts a chef trained in Paris and some top-shelf ingredients for him to work with. This standout number is a spicy, local twist on the classic Parisian dish, which features ham, Gruyere cheese, jalapeños, and béchamel. 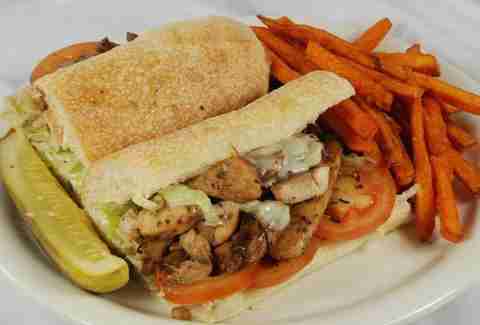 There’s nothing typical about a Flancer’s sandwich, and between its thyme-marinated chicken and its filet mignon and gorgonzola cheese, you’ll almost certainly have the opportunity to try something for the first time. The Chile Verde Birdie Turkey is a great turkey sandwich turned one-of-a-kind masterpiece by the New Mexican green chile mayonnaise. 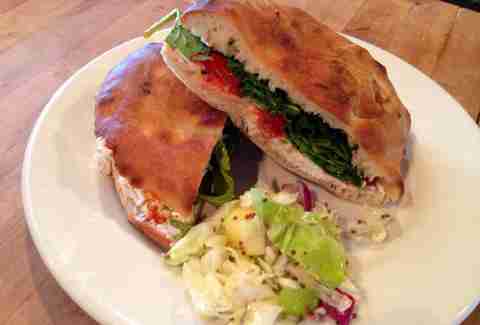 The brain child of local hero Chris Bianco, Pane is Pizzeria Bianco’s tasty cousin. The restaurant grew from a take-out sandwich shop to a full-service restaurant, but the sandwiches are still the star of the show. Be sure to pair yours with a local wine or beer. Ollie Vaughn’s has a solid menu of simple-yet-delicious sandwiches, the perfect exemplar of which is its classic Turkey Club. Roasted turkey, bacon, avocado, roasted tomato, and of course, a little lettuce and mayo -- there's nothing fancy except the flavors. Chestnut isn’t your typical in-and-out deli sandwich shop -- it offers healthier options, a full coffee bar, and even a great classic cocktail list. 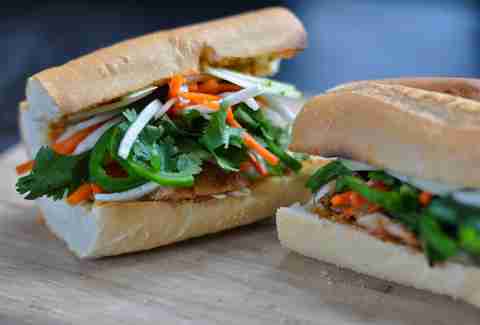 The consistently great Five Spice Bahn Mi is made with chicken OR tofu, plus a variety of veggies and an unforgettable sriracha lime mayo. The always-delicious Fiery Italian certainly lives up to its name; it’s composed of smoked turkey breast, Genoa salami, tomato, Provolone cheese, Sicilian pepper relish, mayonnaise, and spicy brown mustard. 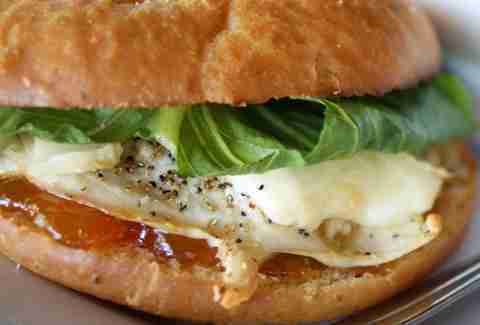 In fact, the only un-Italian thing on there is the soft French bread holing it all together. Bertha’s Café is a local favorite known for consistently delivering some of the best sandwiches and salads in town and the Asparagus and Havarti Panini is undeniably one of the best items on the menu. 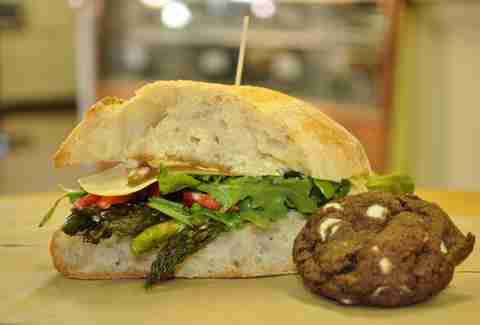 The sando features asparagus, pesto mayo, arugula, roasted red peppers, and Havarti cheese, all grilled to perfection between two pieces of bread -- and while it’s delicious alone, you can (and should) also add ham or chicken. For less-than-conventional sandwich combos you likely won’t find anywhere else, head to Switch. 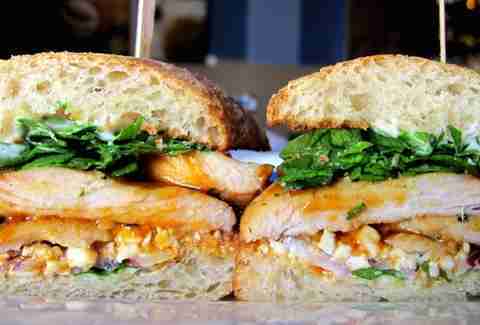 The Apricot BBQ Feta Chicken Ciabatta itself is a weirdly mouth-watering combination of chicken, apricot, BBQ sauce, spinach, feta, aioli, and cilantro, gorgeously held together by thick slabs of ciabatta bread.